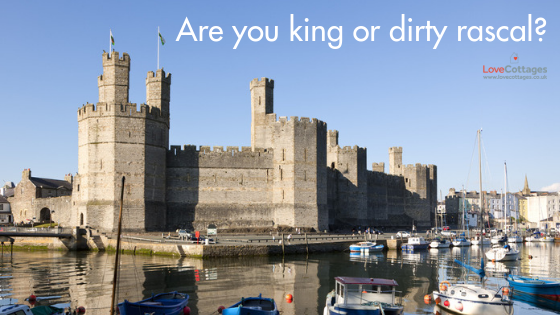 Did you know that there are more than 600 castles in Wales? Definitely still more sheep than castles and people, but that’s a lot of castles. Welsh castles pop up across the country dating from the 12th-century to the 19th-century. Each has a tale to tell. Many a gruesome history of events. Today, Welsh castles are mostly operated as tourist attractions. Come rain, sleet or shine, castles satisfy the curious and intrigue the reluctant. Some are little more than ruins, others are a fanfare of reliving centuries past through exhibitions and waxworks. So we’ve whittled 600+ down to five. In this brutal effort we bring you old, new, crumbled and shiny. That’s at least one day out with the kids in Wales sorted! We kick off with a ruin that has a special place in my heart. A stalwart in my childhood holidays to Wales. Our summer holiday wasn’t complete without a trip to Castell-y-Bere. It set my imagination alight every time as I wandered freely around what’s left of this 13th-century fortress ordered by Llywelyn the Great. And, in my humble opinion, here lies the root cause of my intrigue with history that rattled right through my education. Why visit Castell y Bere? For a spot of peace and quiet in high season, this hidden gem is little known. For spectacular views from its perch in Abergynolwyn. No list of castles in Wales would be fit for purpose without a shout out to the indomitable establishment built by Edward I. Perhaps most recently famed as the site of the investiture of the Prince of Wales; it was the birthplace of the first English Prince of Wales, Edward I’s son way back in 1284. Today it is weighted not by battle but by World Heritage Site status. There are royal references, old and more recent, a plenty. Not for the faint hearted are the walkways at the top of the towers – I really wouldn’t advise you to look down! So imposing an example of medieval masonry, it’d be treason not to! A torrid history has this place. Norman origins are thought to have been the catalyst for the site and many iterations have its walls seen, particularly in the earlier periods of its 900 year life. Said to have been destroyed by Llywelyn the Great and rebuilt in the 1200s, Queen Elizabeth I gifted it to Sir John Perrot (said to be her illegitimate half brother) centuries later. There’s little of his Tudor renovations left to see but there is plenty to spur the imagination and curiosity. Certainly its place in modern history lies with the romantic tale of Dylan Thomas using the gazebo overlooking the Taf estuary as a writing haunt with fellow author Richard Hughes. Move over Caernarfon, enter stage left Wales’ largest castle: Caerphilly. So large, it’s only second in line behind Windsor Castle in the entirety of Great Britain. Built by Gilbert ‘the Red’ de Clare in the 13th-century it is famed for its walls within walls defence structure. Yet it was rarely a site of active battle. And although it was built with defence in mind, the guy liked to put his feet up and comfortable accommodation was incorporated too. What we see today is largely thanks to the Bute family’s renovation work that preserved an otherwise crumbling castle in the 19th-century. And today it competes with the best family attractions in Wales. So with great cheese and a magnificent castle, what are you waiting for? Standing tall, still now, on a grass covered outcrop overlooking Cardigan Bay is Criccieth Castle. So bold is this hilltop fortress, you can imagine it blocking the sun at certain times of day way back when it was still fully in tact. Quite the feat to build, its seaside position also commanded a high level of desire from the English who conquered it some 50 years after completion. And so the to and fro began. Today, if you’re staying in a holiday cottage in Cardigan Bay you might fancy a visit to its 2017 new visitor centre to find out more. 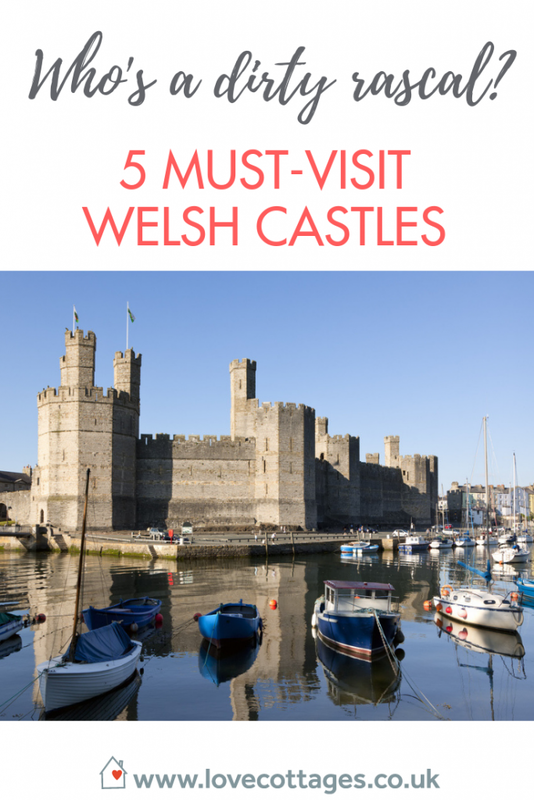 We can’t promise to visit and review the other 600-and-something Welsh castles. But if you do, won’t you let us know which to add next to this list?